The book for the meeting is Bieguni by Olga Tokarczuk published by Wyd. Literackie in 2007. Tokarczuk, 45, is a very popular writer, exploring both historical and mythical past. Bieguni examines modern nomads in our complicated societies. This book has been nominated to the 2008 Nike awards. The book can be bought on the Internet or borrowed from Club members. Club meetings are in Polish. Vivat Amore! is a great new program of Biesiada - an evening of wining, dining and sing-along merriment, presented by ladies and gents of the Polish Choir Vivat Musica. Good food, wine and music will put you in a great mood and you are invited to sing merrily along - in Polish and English. The bar at the Polish Home will be open and desserts available. This event is a benefit to the Polish Home expansion project. Seattle International Film Festival shows three Polish movies this year. Time to Die / Pora umierac (2007), featuring Danuta Szaflarska, is a story of a feisty 90+ lady fending off mega-rich neighbors and her own son. Directed by Dorota Kedzierzawska. Seattle International Film Festival shows three Polish movies this year. 2008 Oscar nominee Katyn (2007) is a moving reconstruction of the Soviet mass murder of Polish military and intellectual POW elite during WWII and its shattering effect on live and politics in post war communist Poland. Directed by Oscar winner Andrzej Wajda. Seattle International Film Festival shows three Polish movies this year. All Will Be Well / Wszystko bedzie dobrze (2007) is a movie about a young man and his alcoholic PE coach going on a pilgrimage to Czestochowa to save the man's ailing mother. Directed by Tomasz Wisniewski. The Polish School in Seattle organizes a Polish language camp over the Memorial Day weekend. Children as well as teenagers up to 15 years old are invited to participate. Please sign up as quickly as you can. Where: at the Cascades Camp & Conference Center in Yelm, WA; price $114 adults, $57.75 children up to 11, $30.10 younger kids; for reservations please contact Ms. Krystyna Swietlicka, tel. 206-720-0683. Polish Home and specifically the restaurant and the bar will be closed on May 23, 2008, that is Friday before the Memorial Day weekend. Archbishop Szczepan Wesoly is visiting the Polish Parish in Seattle. His Excellency, who was in charge for the Polonia affairs in Vatican for many years, will attend the confirmation mass at St. Margaret's Church on May 18 and a dinner in his honor, also at St. Margaret's, on May 19. This is the second visit of Abp. Wesoly in Seattle. Polish presence at the St. Louise Parish Ethnic Fest has a tradition going back decades thanks to many Polish Eastside families. 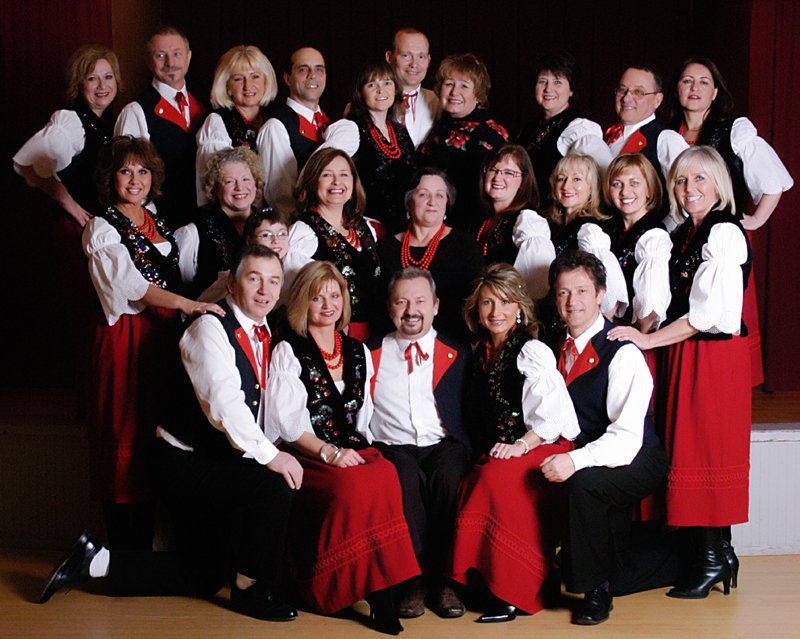 This year the Polish School in Bellevue is again presenting Polish food, crafts & traditions at the Festival. Besides variety of foods and exhibits from 15+ communities, the Festival also features dances and songs from several communities such as German, Philippino and Mexican. Come in a Hawaiian garb and have fun when dancing to live music by The Starbirds band (Bill & Karen). The Hawaiian attire is not obligatory. Among attractions: hula hoop competition! Dancing upstairs, full dinner (7-10 pm) & desserts available downstairs, bar also will be opened. Szymanowski is one of the most famous Polish composers of the first half of the 20th c.; he was also a pianist. The concert by two world class musicians, violinist Darin Qualls and pianist Cary Lewis features a Bach sonata, an Edvard Grieg sonata, Karol Szymanowski's Myths, and another sonata by Gabriel Faure. This is a meeting of the Project committee. Come to discuss and support more changes at the Polish Home! This is an open meeting, everybody interested in the project is invited to come and discuss issues. Volunteers are also welcomed at the meeting! Mr. Kwiecien is a young Polish baritone who returns to Seattle to sing as Riccardo in I Puritani at the Seattle Opera. Please see the other note on this page for info about that performanceperformance – but, it does not get any better than this!, wrote Melinda Bargreen in The Seattle Times. The reception is a fundraiser organized by the UW Polish Studies Endowment Committee to support Polish Studies at the University of Washington. It's the annual pierogi (Polish dumplings) extravaganza that includes several different kinds of pierogi: meat, potato & cheese, blueberries, plum etc. Free attractions include: performance by the Podhale group, craft workshops (make your own pierogi! ), animation movies. You can eat leisurely, listen to Polish music and have a good time. Also available: beer, wine as well as coffee, soft drinks and homemade deserts (not included in the admission price). 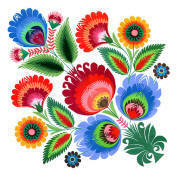 Where: at the Polish Home; tickets $14 regular, $7 children up to 11; tots up to 3 years old free. Mr. Kwiecien is a young Polish baritone who returns to Seattle to sing as Riccardo in I Puritani at the Seattle Opera. His last visit to Seattle was in 2007 when he sang the title role in Don Giovani by Mozart to rave reviews. Mariusz Kwiecien is a very accomplished singer having performed at the Metropolitan, La Scala, Vienna State Opera and other best opera houses. Also see a note about a reception with Mr. Kwiecien. This is the first meeting of the Polish Story Time Poczytajki for kids - initiative prepared for some time and one that will surely be very popular. Polish children books and stories will be read to kids from kindergarten and early elementary grades. Organized by Malgorzata Dawiec and Joanna Wroblewska, with the help of King County Public Libraries. The traditional Opening Day of the boating season in Seattle features a regatta and then the Boat Parade in the Montlake Cut. The Windermere Cup is the prize for the top race where the University of Washington varsity teams race against invited teams from US and abroad. Races start form 10:20, the Polish national team rows at 11:25, the Boat Parade after the last race. Organized by the UW, Windermere and the Seattle Yacht Club. Basia Bulat is an indie pop singer and songwriter hailing from Toronto & Montreal who returns to Seattle after her successful premiere show at the Triple Door in February. The show at SoDo is a double ticket with the 2006 Grammy winner group DeVotchKa. Basia has local fans here who say her February show was just great. Adam Michnik, the editor in chief of the daily Gazeta Wyborcza, political essayist & writer and arguably the fiercest intellectual of the former Polish dissidents comes to Seattle as a guest speaker. The roundtable is at the Parrington Forum of the UW. (please see a note about his lecture on April 30). Organized by the Parrington Forum and UW PSEC. Sponsored by Polish Studies Distinguished Speaker Series. Where: at Parrington Hall at the University of Washington campus; admission free. Where: at a private residence in Seattle; tickets $75 per person; reservations required; for reservation contact Martha Golubiec or call 206-935-7535. Rafal Blechacz is a young pianist star who won the last International Chopin Competition in Warsaw in October 2005 in a great style, winning all five major awards there. In Vancouver he will play Piano Sonata #9 in D-major by Mozart, Estampes by Debussy, Variations in B-flat minor by Szymanowski and 24 Preludes op.28 by Chopin. Also available: Gala Reception with the pianist. Organized by the Vancouver Chopin Society.